Product prices and availability are accurate as of 2019-04-22 09:58:18 UTC and are subject to change. Any price and availability information displayed on http://www.amazon.com/ at the time of purchase will apply to the purchase of this product. 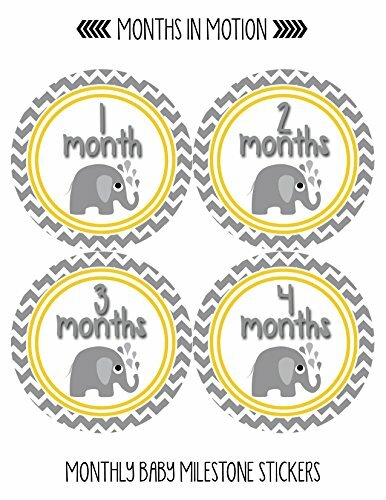 Months in Motion first year baby month and milestone stickers are a great way to document your baby’s monthly growth in their first year of life. 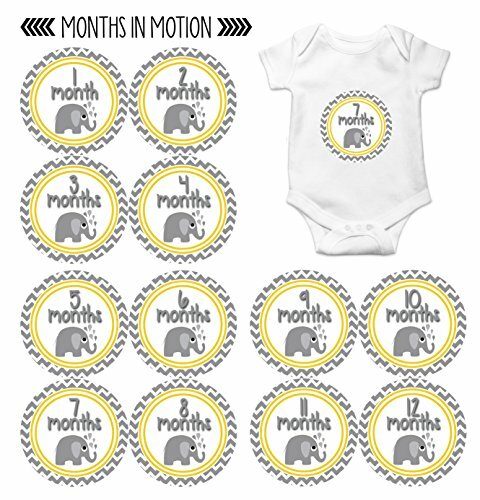 When your baby celebrates each new month or milestone, grab the appropriate sticker, stick it on your child's bodysuit or shirt, snap a photo, and you will have the perfect photo prop to capture the moment. These stickers will make your photos truly special and make your memories last a lifetime. 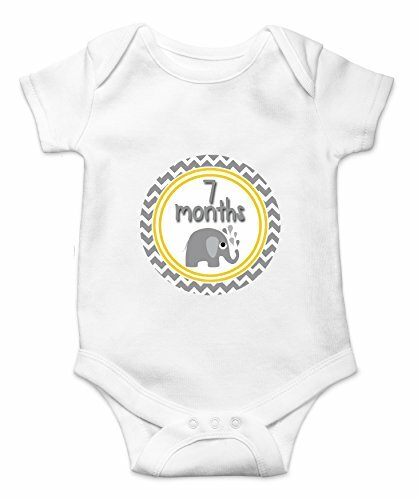 They make perfect baby shower gifts and presents for the holidays. 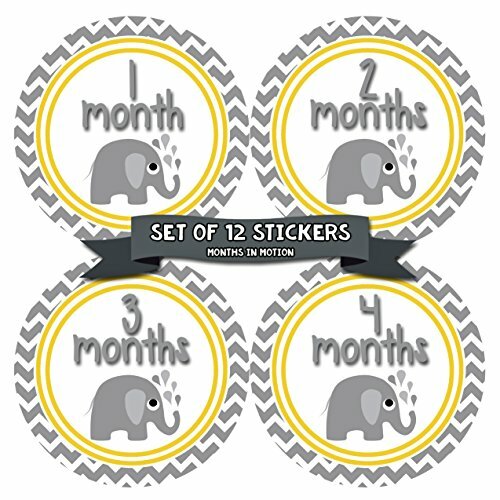 Included in this set is 12 monthly stickers. 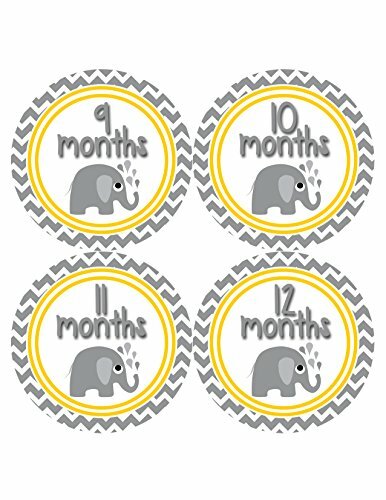 Stickers are printed with the highest quality printing with vibrant color images on white matte removable sticker paper. Stickers are printed four to a sheet so there will be three sheets with 12 stickers in this set. Stickers measure approximately 3.93 inches in diameter. 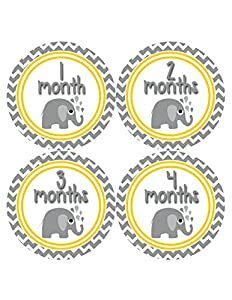 These stickers are nicely packaged for easy gift giving and come in sturdy packaging to ensure nothing gets bent or wrinkled. • Remove before washing baby's clothing. Do not leave baby alone with stickers!